We thought it so simple. Ditch the dread Honda power unit for anything else you could find and it would all be rosy. Yet with McLaren for the nth season in a row we enter a F1 season with more questions around than answers. Pre-season testing provided evidence of what some had suspected over the last three trying seasons - that far from all of McLaren's problems had been Honda ones. The now Renault-powered car completed the fewest laps of all in Barcelona; running forever was interrupted by a variety of technical problems. Some by the team's admission were mere finger trouble. A wheel falling off the car in testing's early throes provided an unwelcome visual metaphor. It is said the car is ultra complicated under the skin, and the implications included that problems take a long time to resolve - for example an engine change is reckoned to take at best three hours rather than the standard sub-two. Pitstop practices in Barcelona were chaotic. A few wondered also why McLaren, almost alone, used the softest tyre compounds as a default. 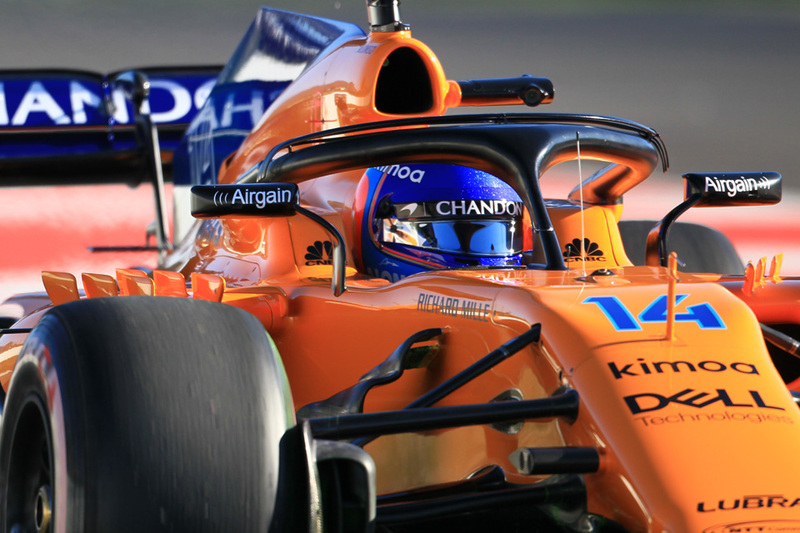 McLaren racing director Eric Boullier insisted there were "technical reasons" and there wasn't much pace difference between the compounds in any case. On the hyper-softs McLaren set a late and low laptime. It didn't convince too many though. It remained the slowest through the speed traps too, well behind other Renault runners, which further hinted at something suspected in its Honda days that McLaren runs its car rather draggy - again its straightline problems were not all engine ones. All sought to put a brave face on things, insisting the car was going great when it was going; that others were having problems too. In fairness the car indeed looks good both on circuit and in its detail. It certainly lacks little in ambition. While on the crude best laptime it has made the biggest step forward from its predecessor 12 months ago. And in something that may be considered progress senior McLaren figures are being frank about their predicament, admitting it came to Barcelona under-cooked. "So far we had minor issues, but I think that's because we did not do a good enough job to prepare the car," Boullier said. "We were a little bit stretched in terms of lead-time and delay. This is our issue. I think very quickly we are going to get back to normal." With this it is thought a big upgrade, bigger than would normally be done, will be in place for Melbourne. And laps done towards the end of testing looked more in the ballpark to indeed be best of the rest. This year feels like a high wire act for McLaren. It is correct to say the big three are out of reach for now, but the implications of not getting fourth in the constructors' table don't bear thinking about. Even the most pessimistic post-Barcelona predictions at least had it in the midfield, though likely not yet heading it. It may lose points ground in the early rounds to the resurgent Renault and surgent Haas. We can never discount the incumbent Force India either. In McLaren's favour it has more resource for in-season development than these direct rivals. And now it has nowhere to hide, which in a way isn't a bad thing. "We have to be ambitious. To be ambitious we have to take risks," Boullier insisted. Maybe for McLaren it will all come together at last in the short order. But then again we've been saying that for a while. "One cannot stem the tide forever," noted Will Buxton at the time it was confirmed. After a few years of procrastination McLaren 12 months ago bowed the inevitable, breaking its all-champion race lineup to make room for its prodigious protegee. "Stoffel Vandoorne is, alongside Lewis Hamilton, the single most exceptional talent I ever witnessed in GP2," Buxton concluded glowingly. Many indeed foresaw Vandoorne as Max Verstappen's chief antagonist in F1's next generation. One season on though his reputation has got a little curly at the corners. Granted he faced the ultimate graveyard shift – debuting with a disappointing and unreliable machine, having plenty of grid penalties and Fernando Alonso across the garage. It showed conspicuously in the opening rounds as he was way off Nando's lead and often looked rather lost. 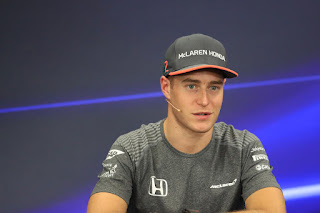 But Vandoorne from Austria onwards got his feet on the first few rungs and he improved throughout the summer. His Silverstone and Monza weekends were good and Malaysia – leaving Alonso well behind with an earlier spec car – was his high point. It was never so good again, perhaps as he had little or no experience of most of the remaining tracks. Yet given everything no one is writing him off yet. But equally he simply must make better on his gleaming reputation this season. Or he'll lose it. 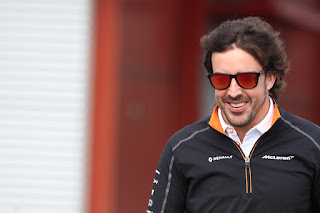 Say what you like about Fernando Alonso, and plenty is said, but he remains by a way the best thing about McLaren. Once again if McLaren enters a season with doubts about its machine it at least can be content it has a driver who will make the best of it. And will scavenge places and points the car doesn't deserve. These days Alonso relents not a jot and he didn't last year in circumstances that could not have been more trying. Time after time he performed something like an Indian rope trick, getting his car into places that defied gravity. His sheer commitment never flickered – always he was pushing the car ahead of itself and being spirited in battle. Don't let anyone tell you it's always about championship points. Only in Malaysia did he underwhelm. This year he combines his F1 campaign with WEC, among other things no doubt. It remains to be seen whether it is a distraction. Then again he did the Indy 500 as well as admitted to considering his F1 continuation last year, and it didn't impact where it mattered. There remain those who still like speculate otherwise, despite all evidence. But in modern F1 few have got rich by writing off Fernando Alonso.